In celebration of National Library Week 2014, Musselman Library held its first annual Edible Book Festival. Library staff members created book-inspired treats to share with the campus community. 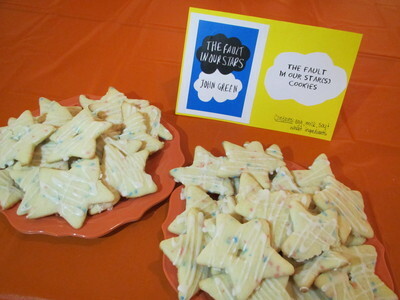 Mallory R. Jallas' Fault in Our Stars cookies were cracked, embracing the punny side of Edible Books Festivals.